Sentai Filmworks is proud to announce its latest acquisition, Utano☆Princesama Revolutions. 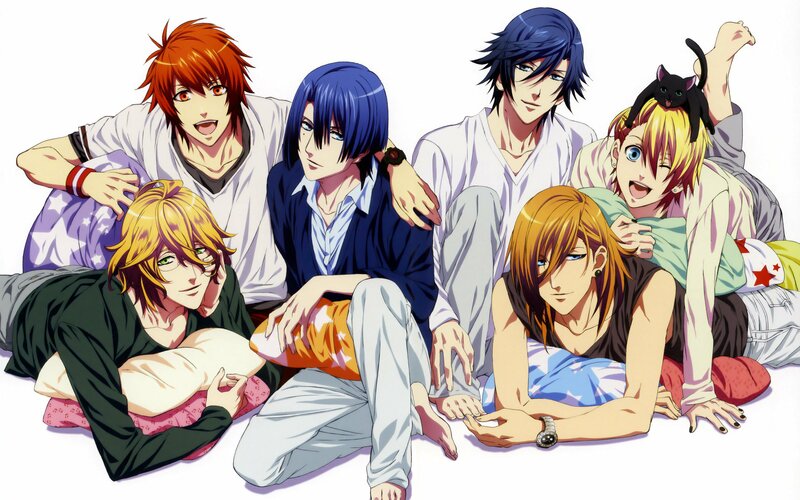 The third entry in the Uta no Prince Sama story, this musical romantic comedy series is directed by Makoto Hoshino, with animation production by A-1 Pictures. They graduated from Saotome Academy, made it to their masters course, survived the wrath of their seniors and competitors QUARTET NIGHT, and even won the coveted Newcomer Award! But just when you thought the song and dance was done, Nanami and the boys of ST☆RISH are back for another round as their journey to the stars builds into a crescendo. Now that the talented composer and her six leading men are finally out on their own in the world of entertainment, they have more to prove than ever as the competition grows even fiercer and the performances even flashier! When a new opportunity arises, they’ll have to prepare themselves for the ultimate challenge as their skills are once again put to the test. Will Nanami and ST☆RISH finally make it to the top or will they fall flat against the competition? Utano☆Princesama Revolutions will be available soon through select digital outlets with a home video release to follow.